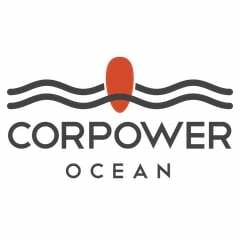 At CorPower Ocean you will find a dynamic work environment with a team of highly motivated and skilled individuals. Each team member works with a high degree of autonomy and flexibility, combined with great personal responsibility. Having shown game-changing performance, expectations are high and your work will be closely watched from around the world. You may have a B.Sc. or a M.Sc. degree in engineering (mechanical, energy, offshore), physics, math (numerical background) or related disciplines. You have relevant experience in time domain numerical modelling, good programming skills (Matlab and Simulink), data analysis, statistics and optimization. You are familiar with numerical analysis and automation of data analysis. You have a strong analytical mind, broad technical knowledge and genuine interest in controlling complex machines and ocean energy. Your personality, experience and interest in the field is the most important. You have a strong work ethic and you are a team player. You are proficient in English, both spoken and written. You may have a B.Sc. or a M.Sc. degree in engineering (mechanical, energy, offshore), physics, math (numerical background) or related disciplines.